THE sun, yesterday, finally set on Mr Segun Okeowo, the arrowhead of ‘Ali Must Go’ protests, arguably one of the most violent students agitation in the country. 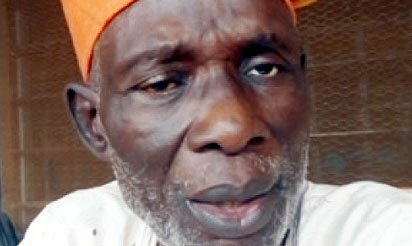 Okeowo, former president of the National Union of Nigeria Students, NUNS, who championed the students’ protest in the late 70s against the General Olusegun Obasanjo-led military government died at about 6.30 a.m. yesterday at Olabisi Onabanjo University Teaching Hospital, Sagamu, at the age of 73. Mr Kolade Segun-Okeowo, the surviving son of the late unionist, confirmed it, saying his father died from a heart related ailment. Late Segun Okeowo will be missed for his doggedness, which he demonstrated when he led the students’ union in 1970s, insisting on the removal of then Federal Commissioner forEducation, Col Ahmadu Ali (rtd) over 50 kobo daily meal increase. Later in life, Okeowo became the chairman, Ogun State Teaching Service Commission, TSC, between 2003 to 2011. His arch-enemy then and former Federal Commissioner for Education during General Olusegun Obasanjo’s military regime, Dr. Ahmadu Ali, was one of the first people to respond to the news of his death, yesterday, praying that the late students’ union leader should rest in peace. Asked, recently, what led to the demonstration, Ali, a former national chairman of Peoples Democratic Party, PDP, had said: “ In the demonstration that happened in 1978, the students were told that instead of having their free accommodation in the university and their meal was still N1.50k, and because there was not much money, it was thought that they should make more contributions by adding 50 kobo to the cost of the meal per day. That’s all; that was the cause of the demonstration. “I tried to make them see reason. Being a former secretary-general of the National Union of Nigerian Students, NUNS, I always sympathised with them. He commiserated with the family of the deceased and prayed that God should grant them the fortitude to bear the loss. The governor recalled the role Okeowo played in the “Ali Must Go” saga. He described the deceased as a hero and urged Nigerian youths to take a cue from his exemplary struggle for a just cause. Also in a condolence message, former Governor of Ogun State, Otunba Gbenga Daniel, described the late Okeowo as a legendary fighter and true democrat. Daniel in a statement signed by his Media Assistant, Ayo Giwa, expressed grief at the demise of Okeowo. Daniel said the late student leader was a legendary freedom fighter who sacrificed his whole life in the struggle for the emancipation of Nigerian students, youths as well as the voiceless masses. Also, the Senator representing Ogun East in the National Assembly, Alhaji Adegbenga Kaka and governorship aspirant, Sina Kawonise,expressed grief and shock at the death ofOkeowo, describing him as a numero uno former students leader, activist and liberator of the oppressed and voiceless masses. The governorship candidate of the People’s Party of Nigeria, PPN, in 2011 governorship election in Ogun State, Prince Gboyega Nasir Isiaka, described the late Okeowo as an inspirational Nigerian and a true leading light of the state, who advocated social democracy.